Do you guys have a foot and a half of snow? We sure do. Alex spent a while digging out the driveway so I could go to work so I made him waffles. 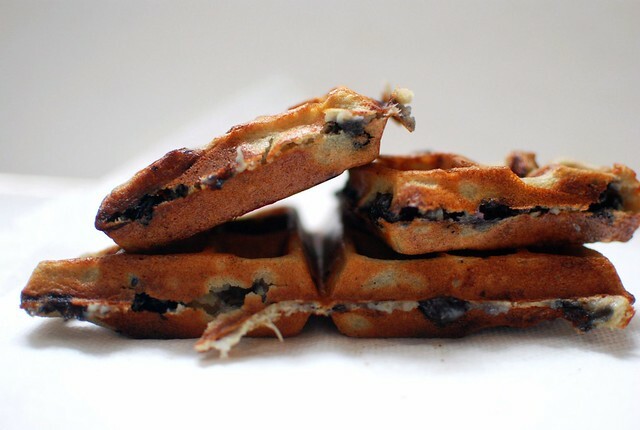 These ones are the same batter as the chocolate chip waffles I made the other day, but with chunks of bananas and blueberries in them. Mmmmm. 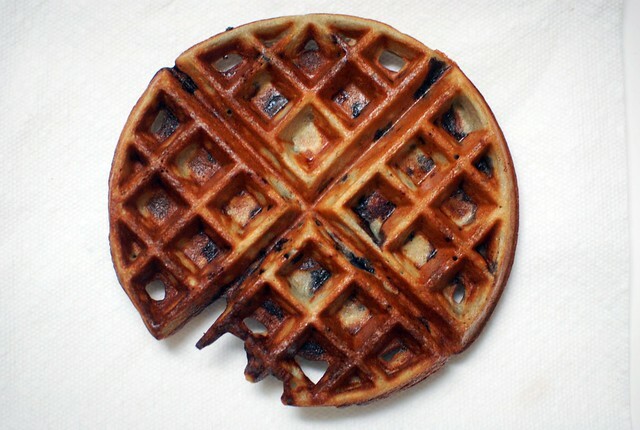 Heat up your waffle maker. Mix together the dry ingredients in a large bowl, pour in all the wet ingredients, and mix well. Stir in the bananas and blueberries. Pour however much your waffle maker needs, and cook according to your waffle makers specifications. Makes about 3 1/2 cups of batter, which makes however many waffles that is for your waffle maker (about 6 for mine).